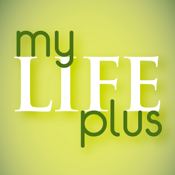 Discover true, total wellness in six vital dimensions with myLIFEplus! Strengthen your health physically, intellectually, emotionally, socially, environmentally and spiritually; find your Vital Score and improve your life with fun, inspirational challenges. Find trusted wellness practitioners and natural products that complement your lifestyle. Gain daily knowledge to help you make the best total wellness decisions for your life.